He would ultimately earn accolades as a defensive back and by the time he had gotten to high school, Austin had attracted the attention of college programs all over the country. However, Austin had a goal – to make it to the NFL. To do this, he felt he needed to compete at the best program he could and play on the biggest stage possible. He decided that the University of Tennessee was where he needed to be. 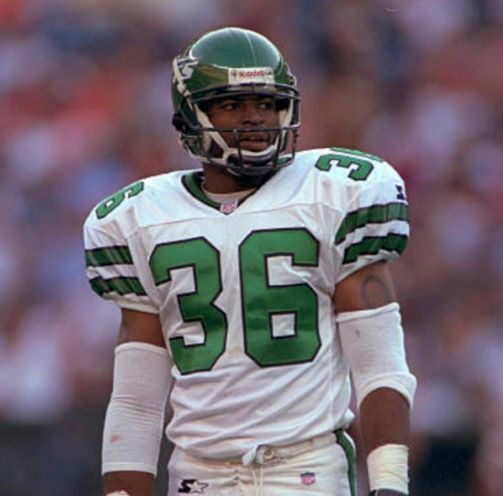 In 1997, Austin was drafted into the NFL by the New York Jets. After one season in New York, he was signed by the Chicago Bears where he would spend the next three seasons. It was in the Windy City that Austin truly found home and the fans there made an impact on him that still resonates to this day. After what he calls a really fun stint in the original XFL with the Chicago Enforcers, Austin retired from football after the 2001 season. He then began a career as an entrepreneur and as an actor. In business, he would start an athletic performance training center and train some of the best athletes in the world. As an actor, he would spend 15 years appearing in national commercials, films, and television shows (he has a recurring role on the hit TV series Empire). Among some of those “great things” is Austin’s latest venture, the Fan Controlled Football League (FCFL). Austin co-founded the league with investment partners and the new venture touts itself as a unique intersection between the high-action world of football and the immediate connectivity of e-sports. The FCFL will allow fans the opportunity to call plays in real time during real games. While he left the sport behind, he never left behind the lessons it taught. Whether in business or in the arts, Austin is always able to rely on what football has given him.